US President Donald Trump’s pick for the next American ambassador to South Korea, Admiral Harry Harris, says while North Korea continues the pose the most imminent threat, China’s still remains the biggest long-term challenge that Washington is faced with. The admiral is expected to play a key role in the ongoing talks between the US and North Korea ahead of a possible summit between US President Donald Trump and North Korea leader Kim Jong-un in Singapore on June 12. 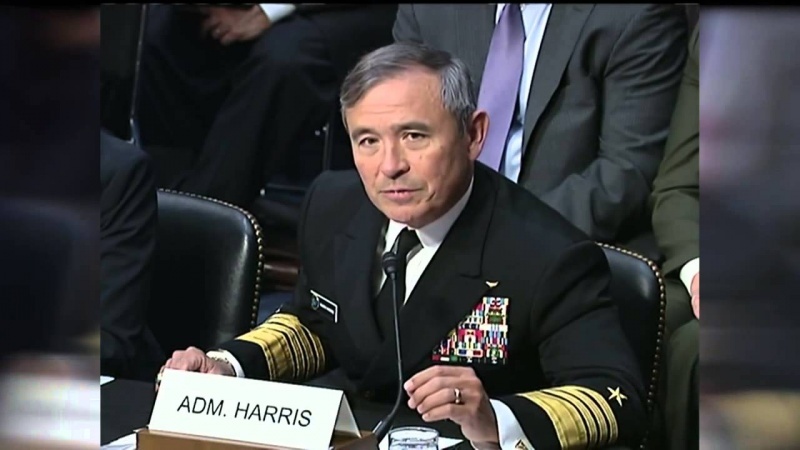 The White House officially introduced Harris, who has been at the helm of the most expansive US military command for three years, to the Senate on May 18. He is expected to be confirmed as the new envoy to the South. Harris has always been a hawk on North Korea but he has also issued warnings on China and its influence in the Pacific region and, in particular, the South China Sea. Harris also warned his successor, Adm. Phil Davidson, to keep an eye on Moscow, saying Russia is trying to act as “the spoiler” in the Indo-Pacific. “A geopolitical competition between free and repressive visions of world order is taking place in the Indo-Pacific,” he said. Us Secretary of State James Mattis had said ahead of the Hawaii ceremony on Tuesday that the US will continue what he called China’s militarization of the South China Sea. “We are also going to confront what we believe is out of step with international law, out of step with international tribunals that have spoken on the issue,” he added. The Pentagon chief made the comments days after Beijing’s firm criticism after two US warships sailed within 12 nautical miles of four Chinese artificial islands in the South China Sea.